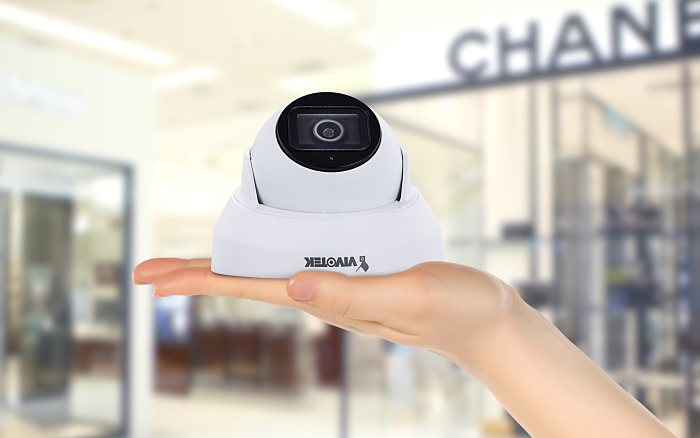 VIVOTEK’s IT9389-HT is a H.265 outdoor turret network camera equipped with a 5-Megapixel sensor, enabling resolution of 2560×1920 at 30 fps. Featuring VIVOTEK SNV and WDR Pro technology, the IT9389-HT is capable of capturing high-quality imagery in both high contrast and low light environments. The IT9389-HT offers a remote focus lens for different user scenarios. IR illuminators are equipped with 30-meter effective range for better night visibility. To provide reliable coverage in harsh outdoor environments, the IT9389-HT is encased in IP66 and IK08 housing. By employing VIVOTEK’s Smart Stream III technology and H.265 compression, the IT9389-HT is able to reduce bandwidth up to 90%* while maintaining supreme image quality. Additionally, VIVOTEK VADP (VIVOTEK Application Development Platform) allows users to customize applications for the ever-expanding number of user scenarios in the diversified surveillance market.